Marrakech is one of the most touristic cities in Morocco. Where does this popularity come from? We can easily get a taste of the Orient here, and plane tickets can be bought at extremely occasional prices. 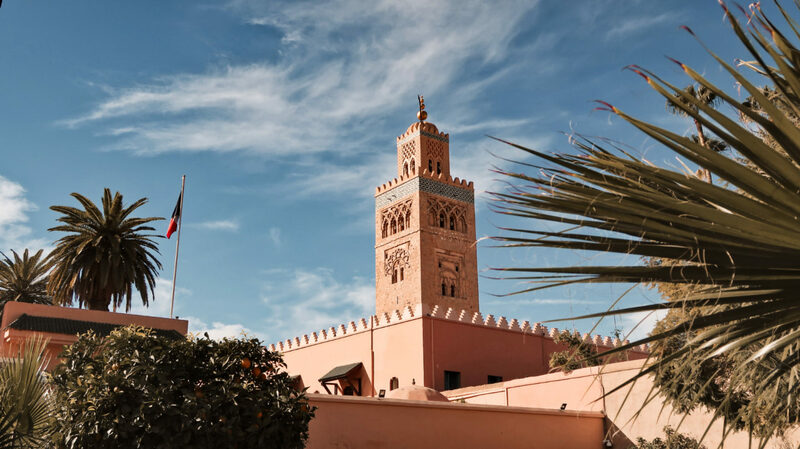 Moreover, Marrakech once was the capital of Morocco, and its old city – the medina, in 1985 was listed on the UNESCO list of world cultural heritage. Narrow streets, dusty pink buildings and smoke-like fumes in the air create a magical vibes. 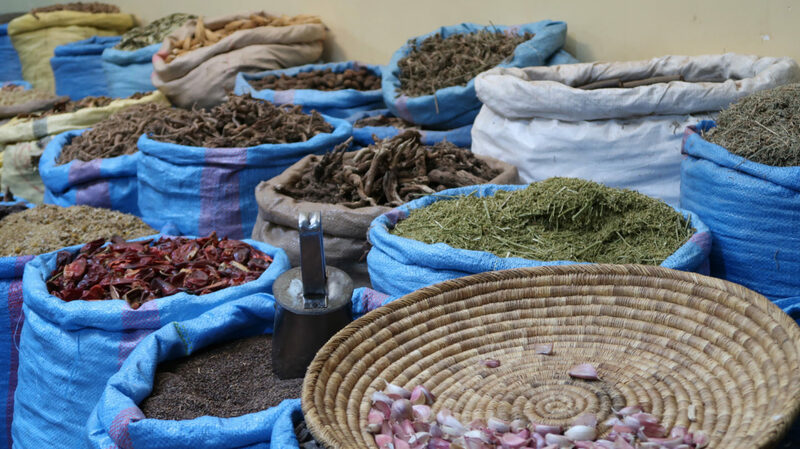 The close distance to the Atlas Mountains and the Sahara, however, allows tourists to easily taste something more. 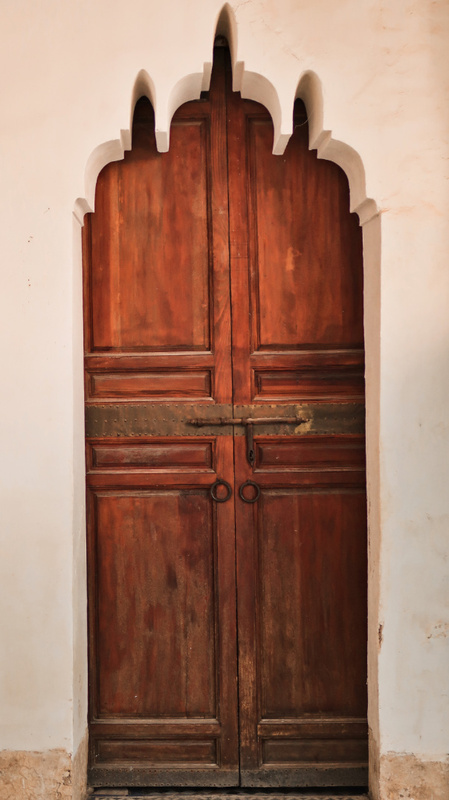 What needs to be on your sightseeing list in Marrakech? We present the TOP 8 spots with a BONUS! The seventy-meter-high minaret of the Koutoubia mosque is the symbol of Marrakech. 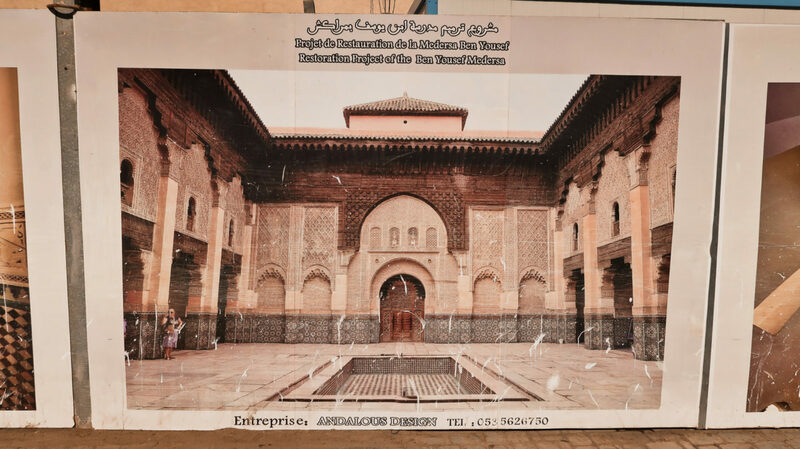 The complex was built in 1147 during the rule of the Almohads, and the name literally means the mosque of booksellers, because the building was built on the place where the books were traded and transcribed. Unfortunately, the entrance to the mosque is reserved only for Muslims. Around the mosque there are gardens, in the vicinity, you will also find a lot of cafes and restaurants, from the roof of which you can see the Mosque against the backdrop of beautiful sunsets. 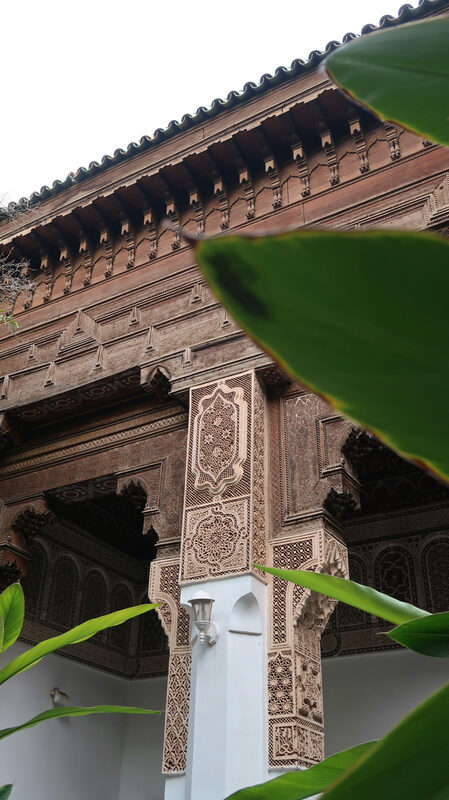 The Bahia Palace was built in the 19th century for two viziers (prime ministers) – Si Ahmed Ibn Musie and his son, Ba Ahmed. 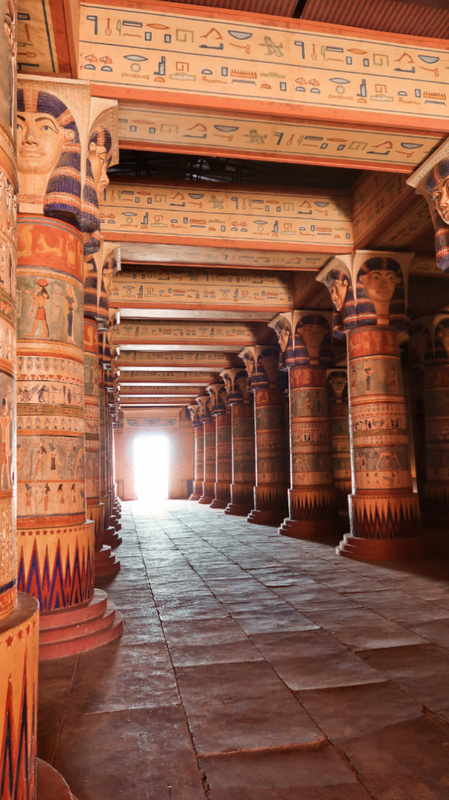 Stretched on nearly eight hectares, the palace is richly decorated with marble pieces, bas-reliefs and paintings on cedar wood. The gardens in the palace are planted with orange trees, banana trees, cypresses, hibiscus and jasmine trees, that create a beautiful scent. Admission fee is 10 Mad (about EUR 1). Medersa is a Muslim school. It used to be focused on teaching the Koran, law and Arabic, and now they also teach other subjects like mathematics and physics. The photos from this place are amazing, that’s why we really wanted to see it. Unfortunately, after arriving, it turned out that Medersa is closed for renovation until 2020. 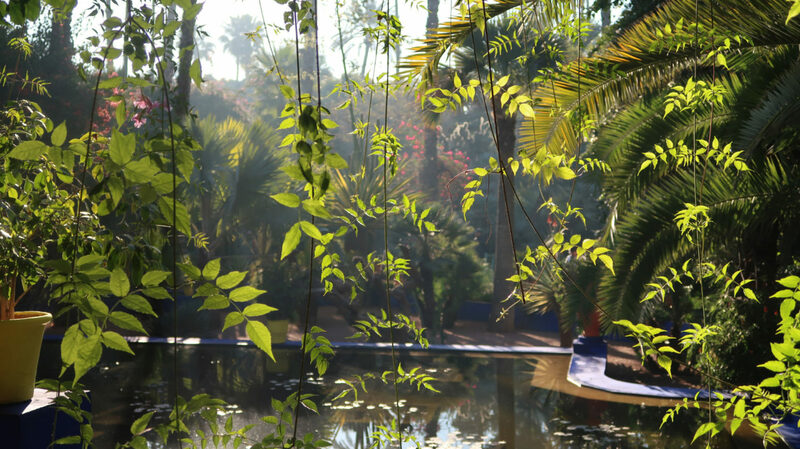 Forty years of passion and sacrifice took the French painter Jacques Majorelle to create this charming garden – Jardin Majorelle. It is one of the most visited tourist attractions in Morocco. 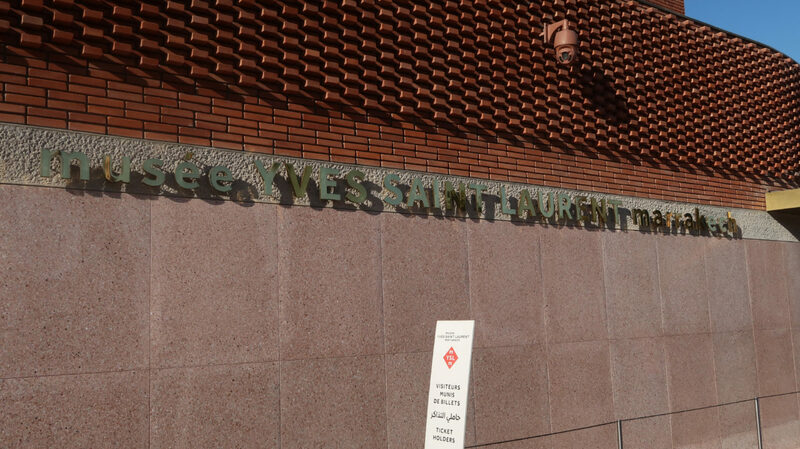 Located on an inconspicuous street, it is incredibly stunning at a closer look. When we are inside, we feel as if we were transported to an exotic jungle. We pass by streams and ponds filled with water lilies and lotus flowers; we hear rustling leaves and birds singing, we feel the amazing, sweet scents of plants. We see the charming, painted in vivid colours buildings and we are absolutely enchanted. Majorelle blue becomes our favourite shade in a second! 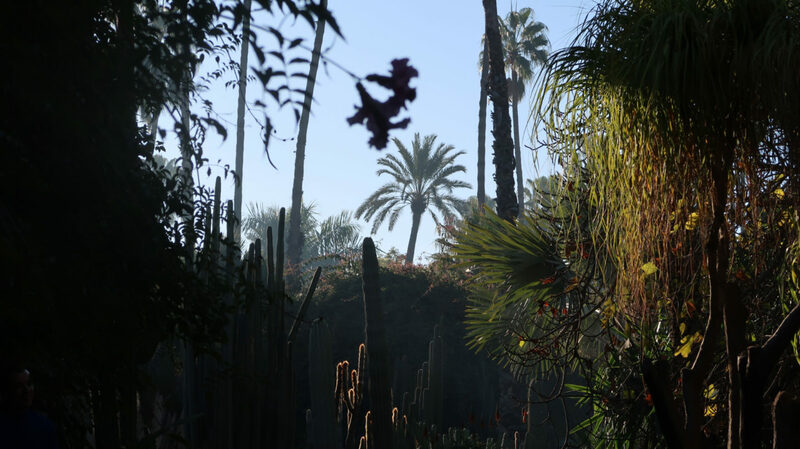 The garden was opened for public use in early 1947, but after the death of Jacques Majorelle in 1962, it began to fall into ruin. 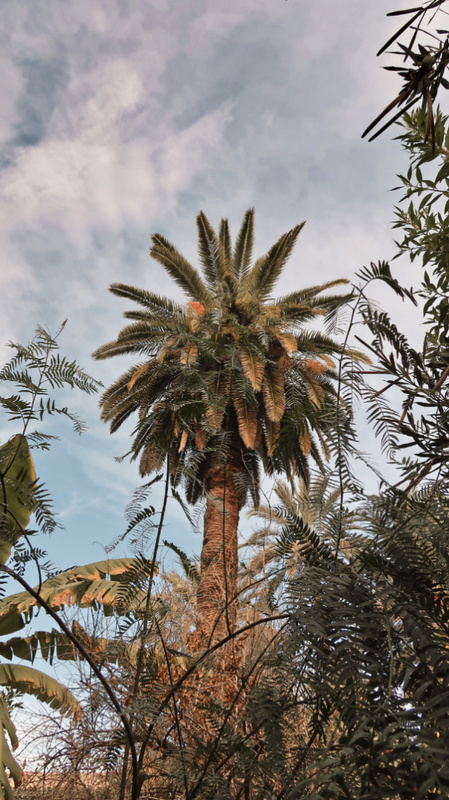 In 1980, the well-known designer Yves Saint Laurent together with Pierre Berge bought the Majorelle complex and initiated the renovation of the garden. 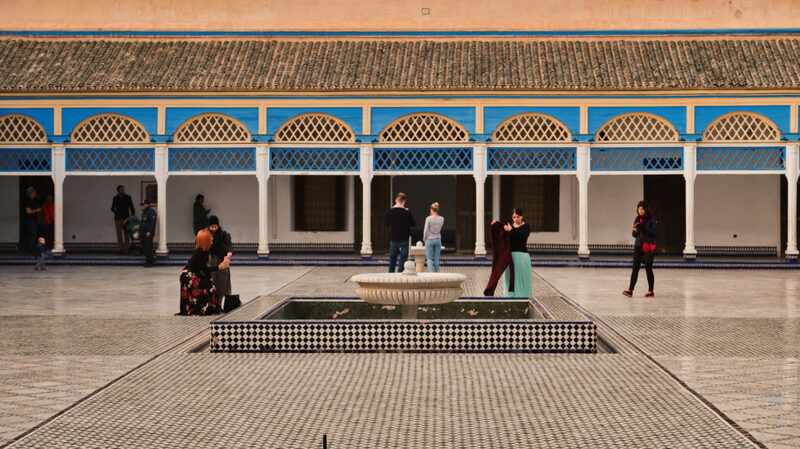 Within the complex, a museum of Berber culture was also created. 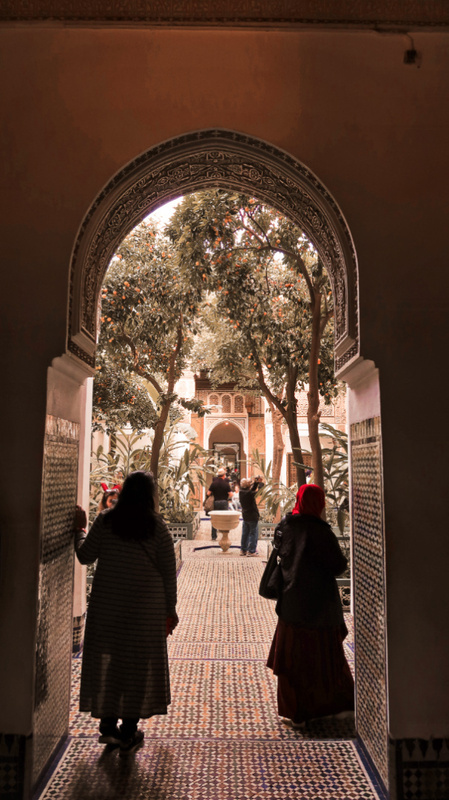 The cost of admission to the gardens is 70 Mad (about EUR 7) and to the Museum of Berber Culture – 30 MAD (about EUR 3). 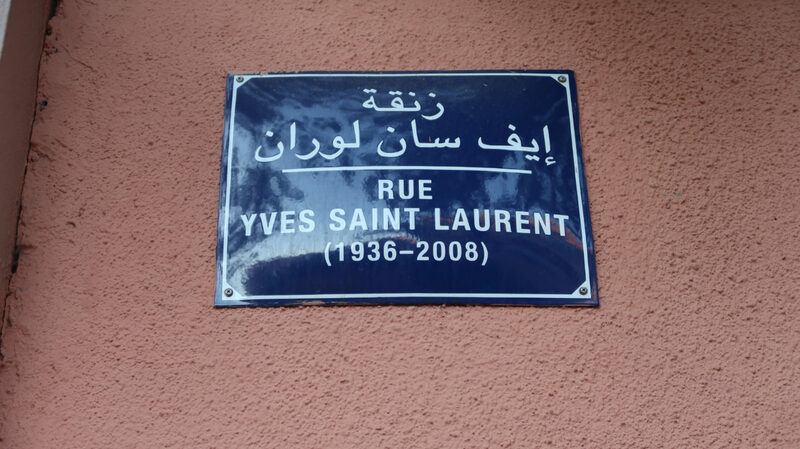 The Yves Saint Laurent Museum is located next to the charming Majorelle Garden. 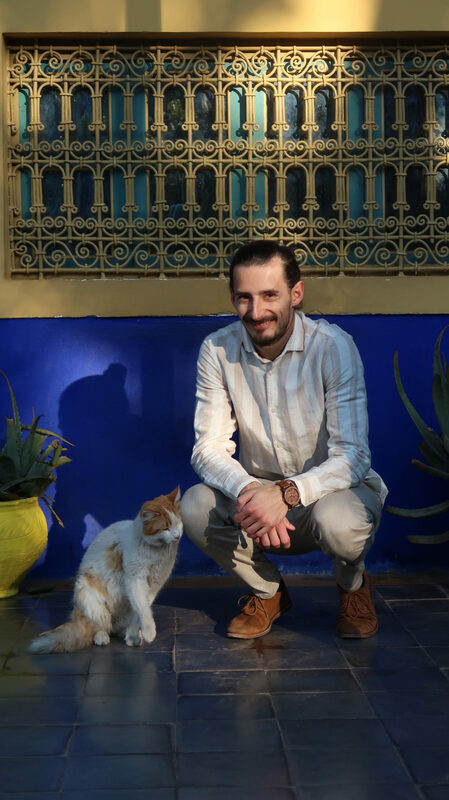 The famous designer fell in love with Marrakech and drew a lot of inspiration from him. 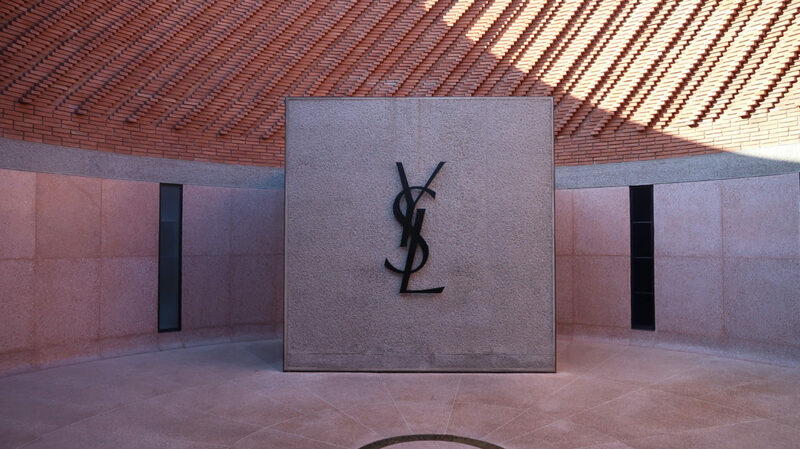 The museum building is amazing, and inside it, you will find projects and implementations of YSL presenting 40 years of work from the period 1962 – 2002. Definitely fascinating not only for fashion enthusiasts! Entrance fee is 100 MAD (approx. 10 EUR). Another beautiful garden in Marrakech. 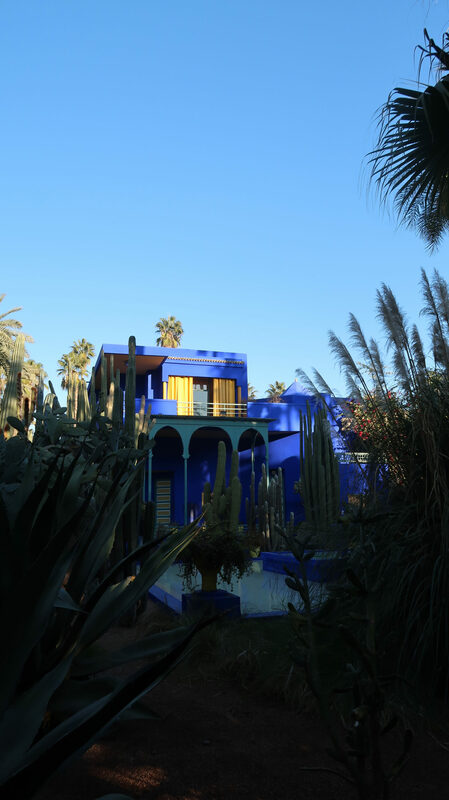 Though after the opening it was said that the investment will be a flop because there is no chance to compete with the Majorelle Garden, eventually, it became one of the key points on the map of visiting the city. Located near the Souk, the garden allows you to relax from the noise at the marketplaces. Here as well you can admire exotic plants and listen to the rustle of water, and relax on benches among the fragrant herbs. Entrance fee is 50 MAD (approx. 5 EUR). Souks are the marketplaces, where you can buy literally everything. Many goods are hand-made and local, but you have to be careful because, unfortunately, you can as well buy something imported from China by accident. 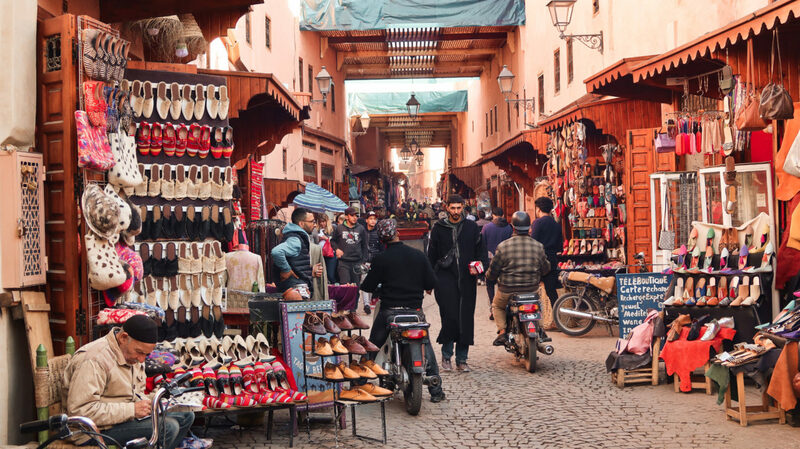 You should also remember about bargaining – a key element of shopping in Morocco. All the prices of products given by the sellers are overpriced, so without bargaining, you will overspend dearly. 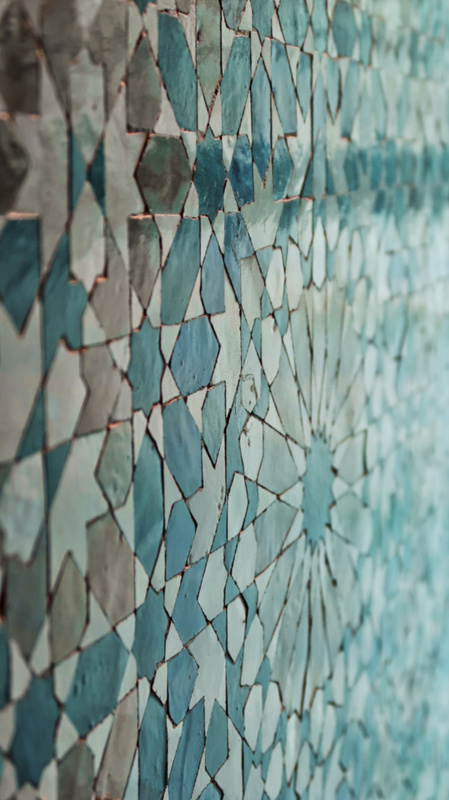 Undoubtedly, you can find hidden pearls in, such as beautiful tajine dishes, lamps, hand-made shoes or carpets. You just have to look for it patiently. Remember, however, that the Souks can be dangerous! There is no shortage of pickpockets or motorcycles squeezing through the crowd. You can read more about security in Morocco here. Jemaa el-Fna, or simply a square, to which lead virtually all the narrow streets of the medina. You can not miss it by walking around the Souks. Why is it so popular? During the day, the square plays mainly the role of a big market. You can buy more or less what is on the Souks, as well as fresh fruit, juices, or if you want to have a henna tattoo done. In the evening, the square becomes a huge restaurant. About one hundred stands offer various types of local food. Everyone has their own promoting person who will try to encourage you to eat in his restaurant talking texts like “do not panic it’s organic”, or if you refuse: “see you later, alligator”. In addition to eating, you will also experience all kinds of entertainment here: from snake charmers to street storytellers, to all other artists. Here, too, we call for special caution. Watch out for pickpockets and maybe not so good food! 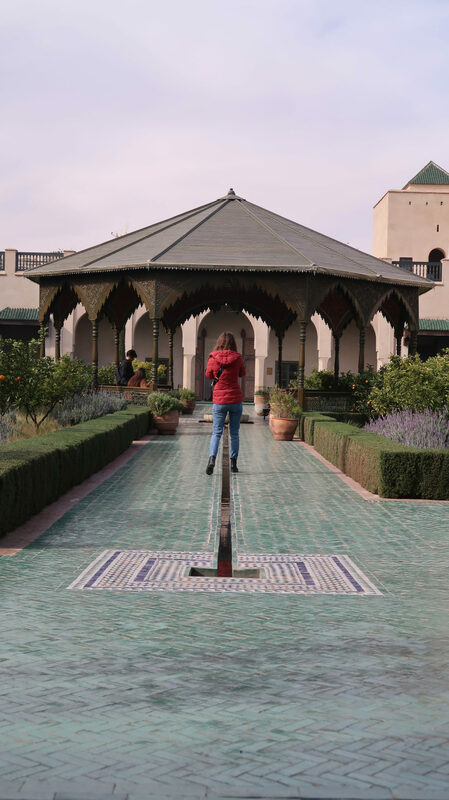 Marrakech is a great base for trips to the Atlas Mountains. A few hour bus ride and you are in a completely different scenery, where you can breathe clean air. Maybe you will even be able to see snowed mountain peaks? Definitely worth it! Remember, however, that in winter the temperatures in the mountains are significantly lower. The road leaves a lot to be desired, there are sections in the reconstruction or stripped of asphalt. It is also very serpentine, so people with sensitive stomachs or motion sickness should take this into account. 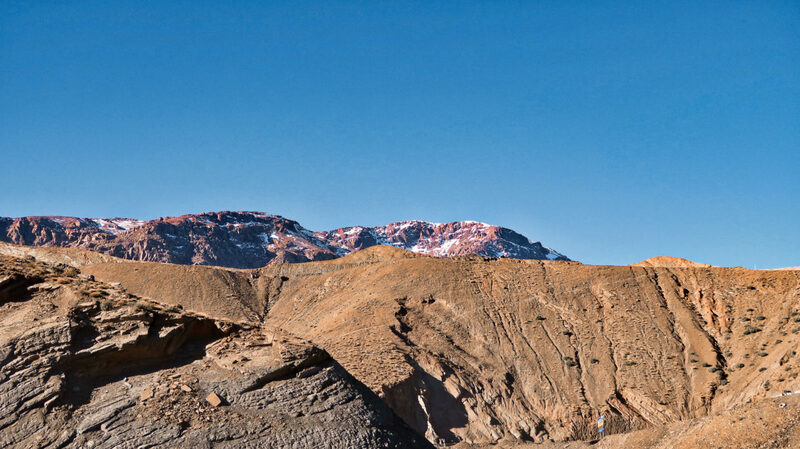 A trip to the Atlas Mountains can end on the other side of the Sahara Gates, or in Ouarzazate. 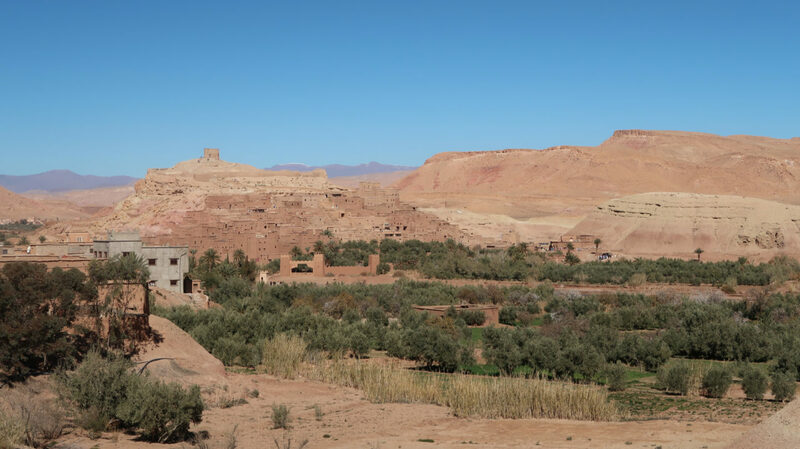 On the way to Ouarzazate, there is the film village of Aït Ben Haddou. It’s a good idea to mark both points on the map when planning a trip. 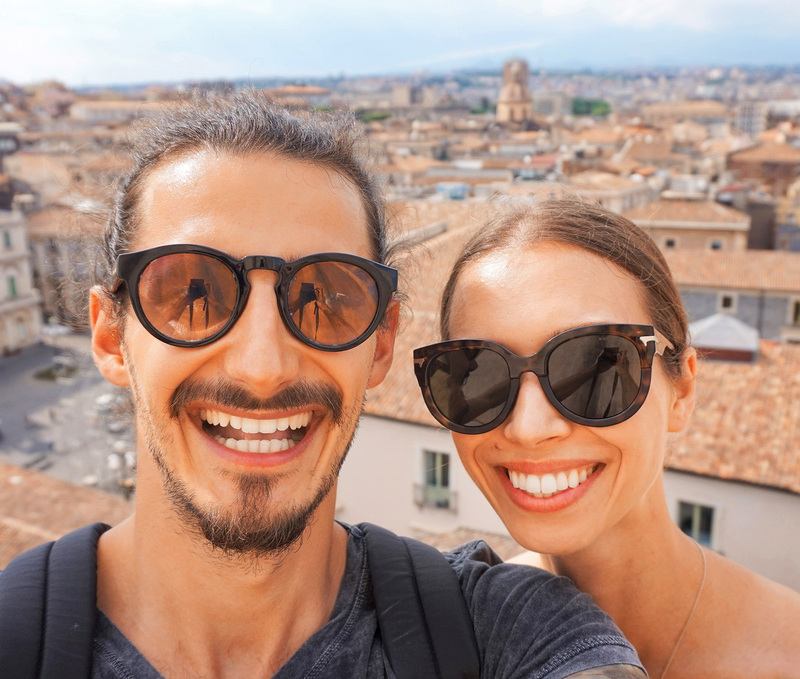 We recommend that you use the services of the Get Your Guide portal, where you know what you pay for and you have access to opinions about a given trip. The prices of trips vary depending on the destination or the presence of a meal, our one-day trip with dinner cost about PLN 300 per person. Ksar (Arabic: قصر) is a fortified settlement or tribal residence, built of clay and stone, often in oases in the desert on the caravan trail. Ksars are widespread mainly in areas inhabited by Berbers – in the present Maghreb countries, especially in Morocco, south of the Atlas mountains. Aït Ben Haddou has been on the UNESCO World Heritage List since 1987. 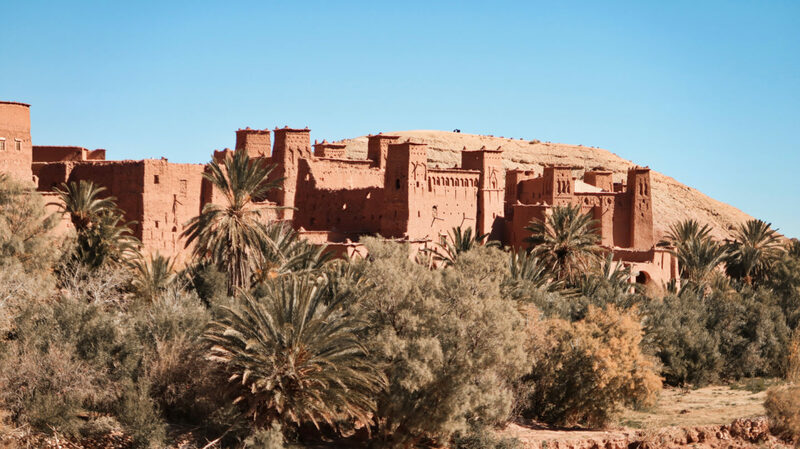 The settlement is located on the hillside above the palm-tree banks of the Ouarzazate River. 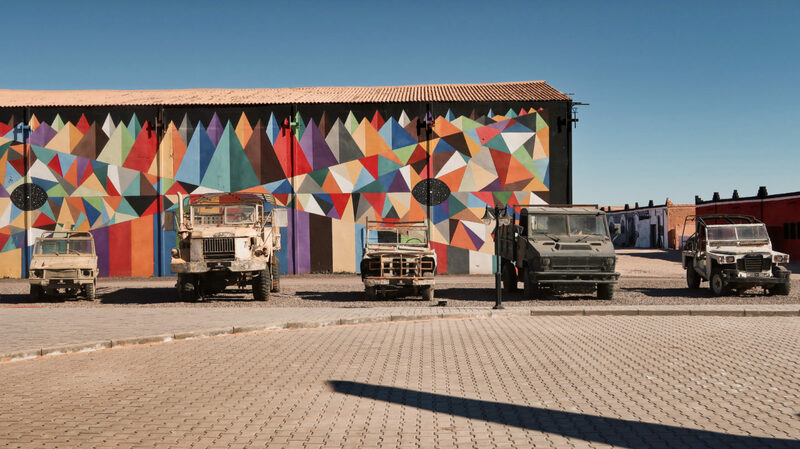 Once the village was important because of its location between Marrakech and Ouarzazate, as all the caravans run through it. 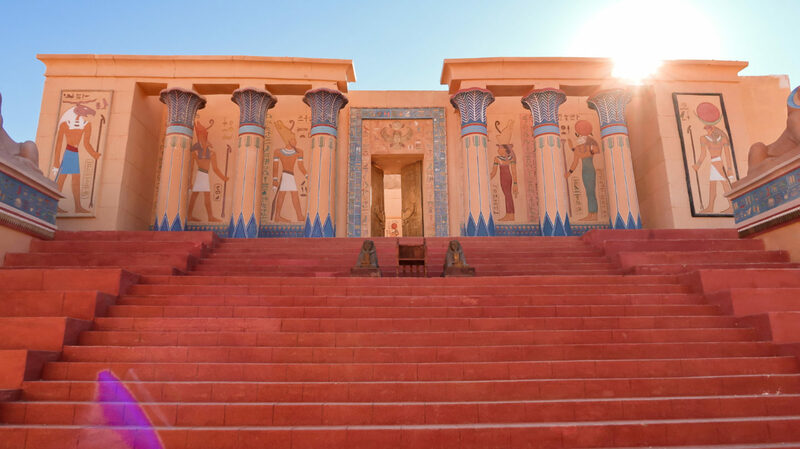 This location was used in many famous film productions, including The Mummy, Cleopatra, Gladiator, Alexander, and Game of Thrones. 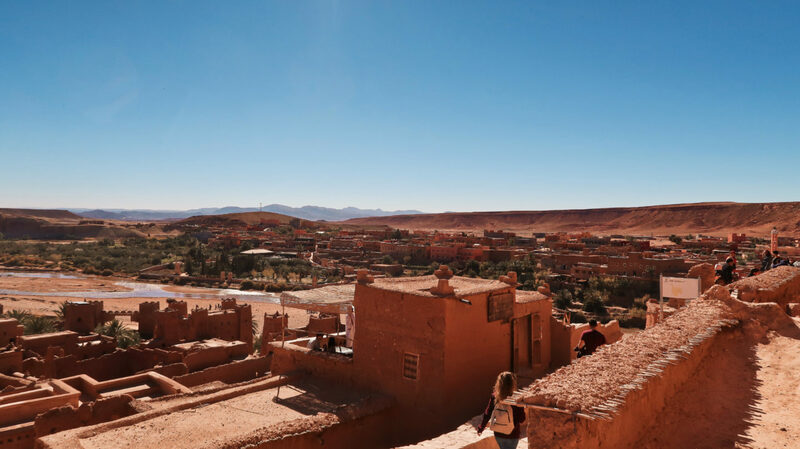 Residents of both Aït Ben Haddou and Ouarzazate have been specializing in cinematography for years, which, apart from tourism, is today one of the main incomes of the local community. 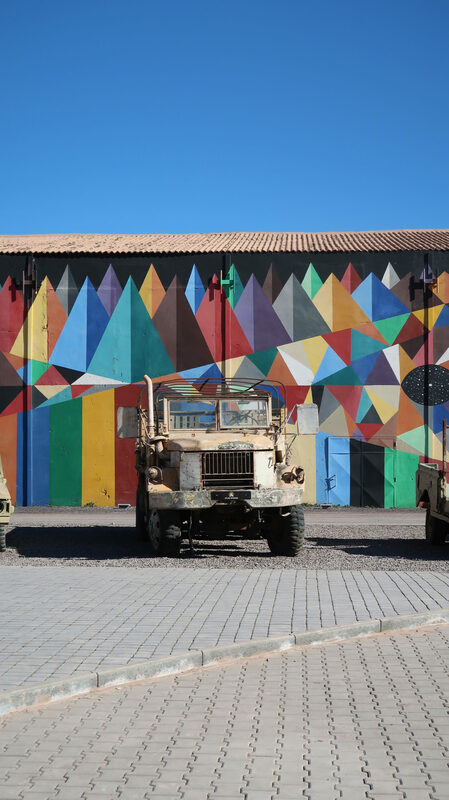 The culmination of our journey through the Atlas Mountains is the town of Ouarzazate, where the well-known Atlas Film Studios are located. 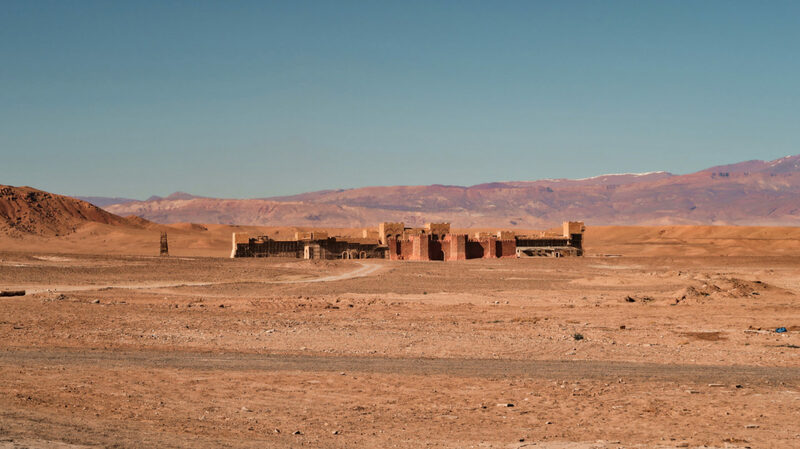 In addition to Aït Ben Haddou, it is one of the most popular film sets in Morocco. Here, not only Game of Thrones, The Mummy and Gladiator, but also Vikings, Asterix and Obelix or Prison Break were filmed. 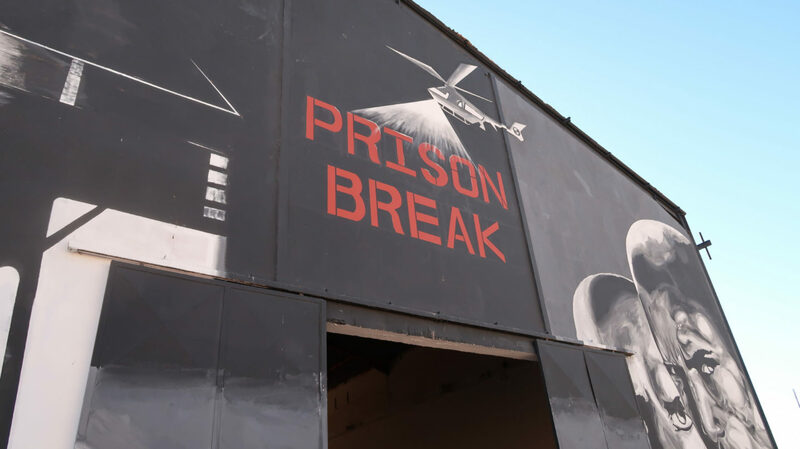 Visiting the studio is very fascinating because it shows how one film set and set scenography can be used in various productions. Nevertheless, if our trip was focused solely on this place, we would be disappointed. 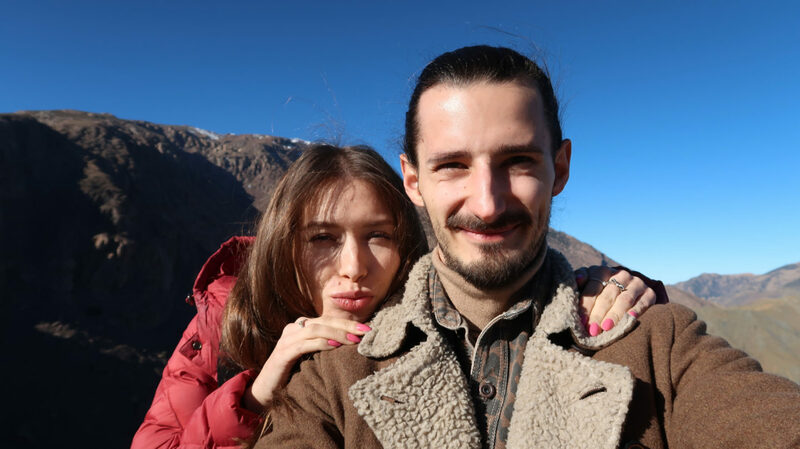 It is worth combining a trip to the Atlas Mountains with visits to Aït Ben Haddou and a film studio in Ouarzazate. Previous Post Is Morocco safe? 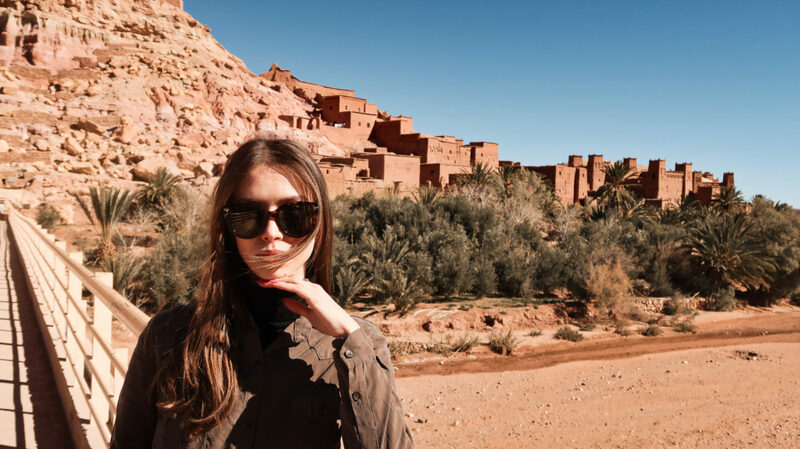 Next Post What to buy in Morocco?